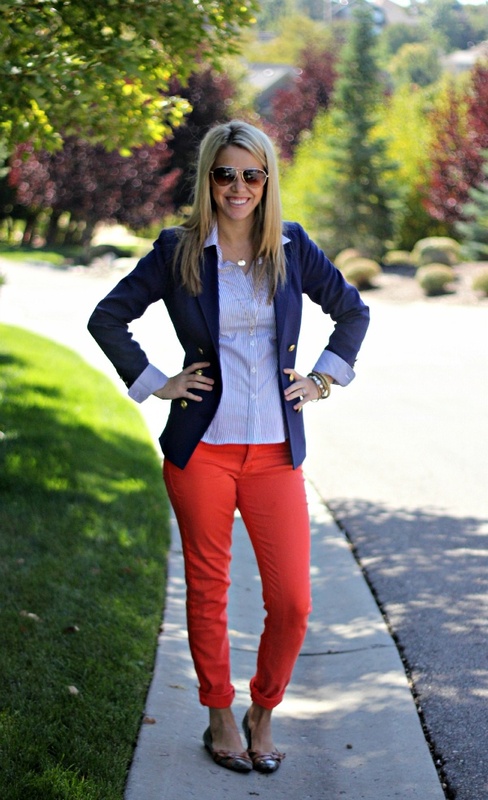 If you ask me how to wear orange trousers, then I recommend you to take a look at this pretty awesome compilation of women's tangerine bottoms styled with cool tops and jackets. 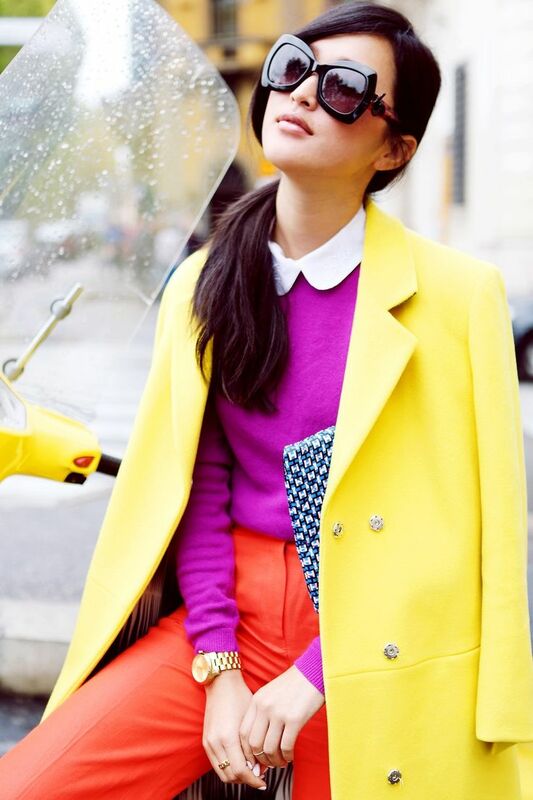 This color is one of the trendy ones this year, so you better look through these street styles for your inspiration. So, if you decided to try on this hue, then you are more than welcomed to look through these images and choose your favorite combinations. So what to wear with tangerine trousers? First of all, orange color is not the easiest one for wardrobe combinations. During chilly days lots of fashionistas go for dark colored versions that look quite calm. The bright, orange hues makes everyone stare at you. 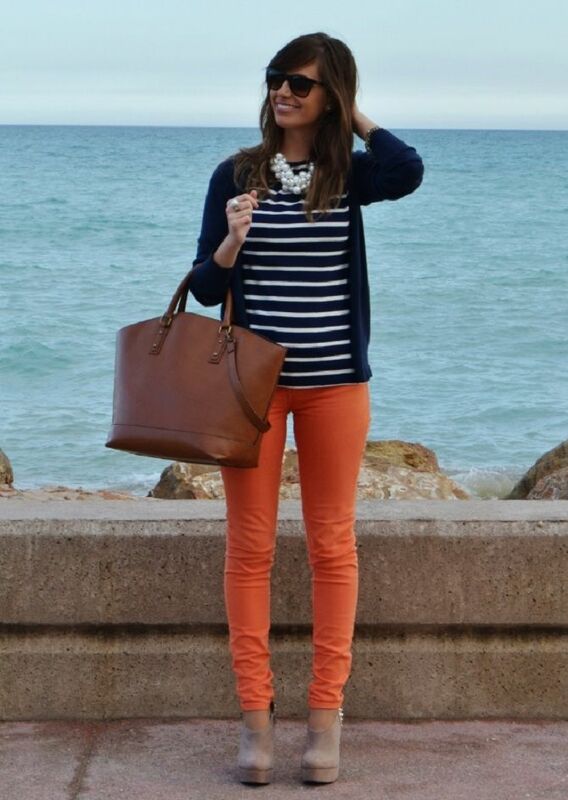 If you want to show off the specific area of your body, then orange pants are meant for you. Keep in mind one thing- this color is bright, emotional and somewhat even aggressive, that associates with danger, fire and bans. Before trying on such color for your working hours you better think twice. 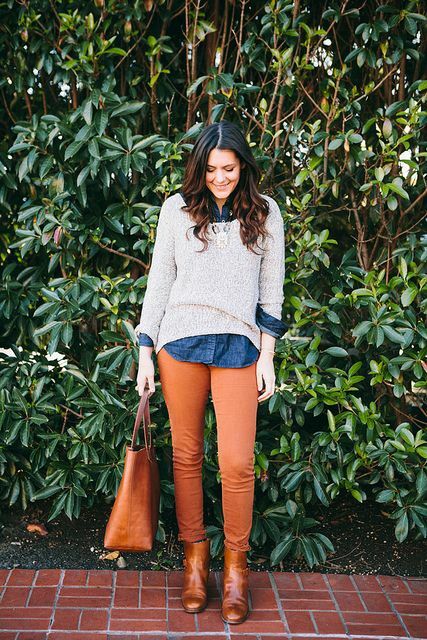 Soften your look by teaming this bright hue with light and neutral separates. You can go for orange-white look. 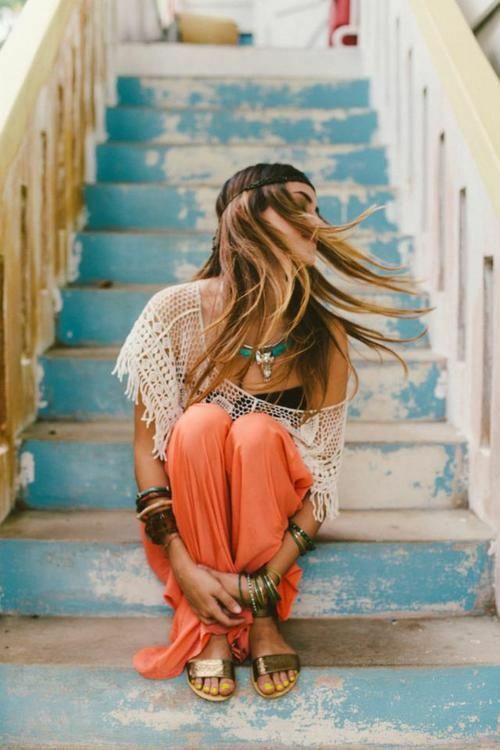 It's quite warm and soft look, where the white shade takes inside all the aggressiveness of tangerine hue. How about smart girl look? 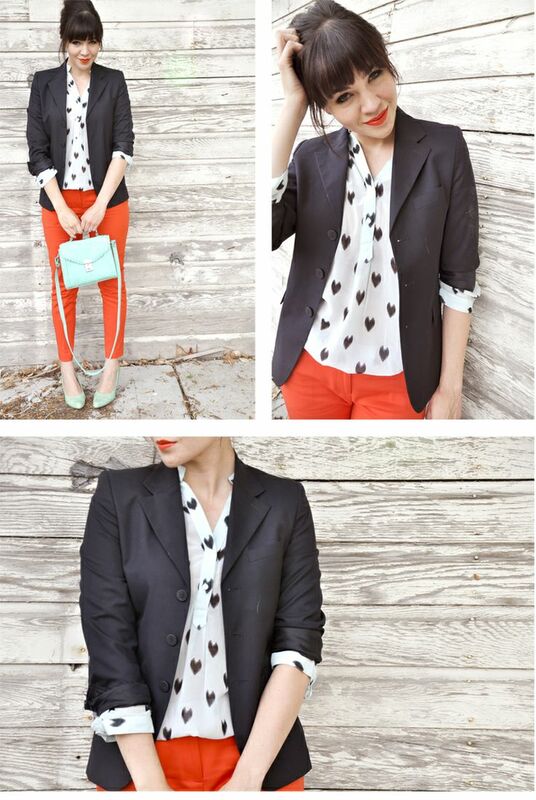 We see a relaxed fir black leather vest worn atop white tee that is combined with orange leggings. I like to see dark green and orange colors combination, it looks classic. 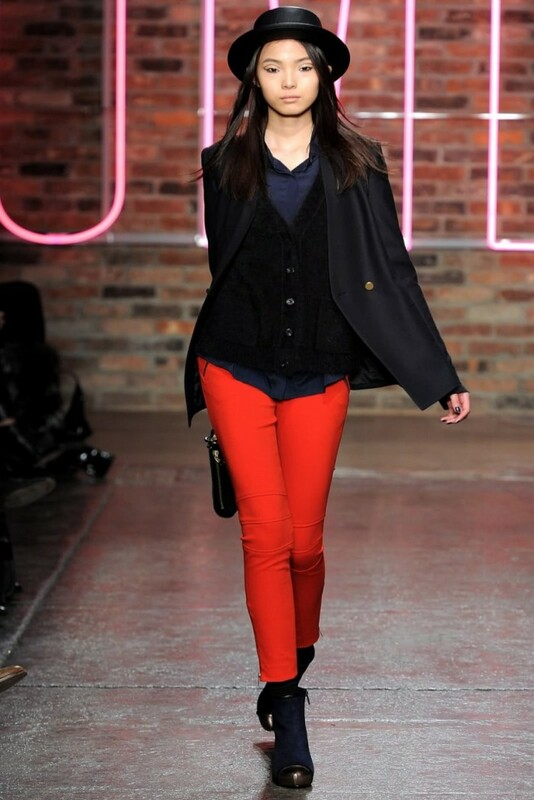 How about color blocking looks? I love to see bright colors combinations, where orange is combined with pink and green colors. Denim shirt looks pretty cool with tangerine bottoms. The denim takes in all the aggressiveness of this hue. When you want something modern and sporty, then I recommend to try on shortened light red blazer, perforated white crop top and high-waisted orange pleated trousers. Finish the look by adding aviator sunglasses. I personally love to see ladies wearing orange & black combinations. It reminds me of Doberman Pinscher. Very contrast and without compromises. It's aggressive and very attractive combination. You can always go totally orange for making a real statement in the streets! Hello. I would be making a orange silk trouser and I’m thinking of wearing it with a black and white polka dot top and a neon green belt I have a very dark complexion. What accessories would you advice ? Waw. Thats actually a good idea.Thank you. I would be doing a photoshoot so if it doesnt slip my mind ill send a picture of what it came out like :). Youve been of great assistance.